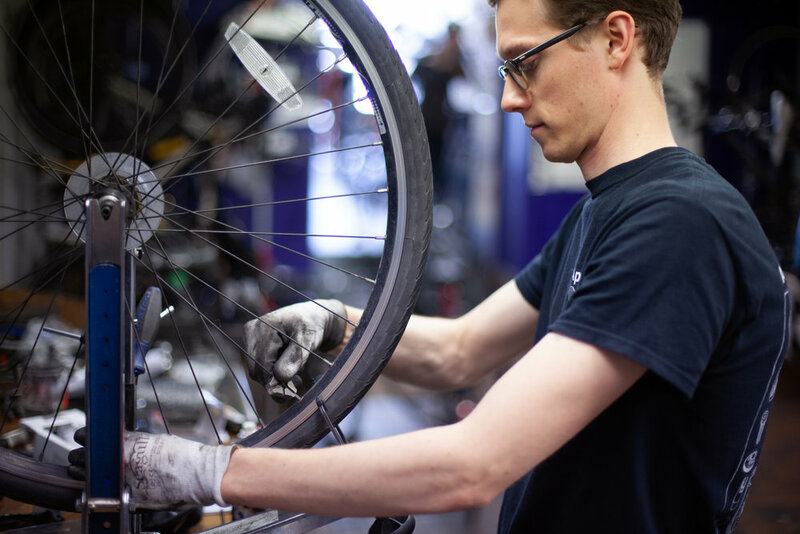 Come and get your bike winter ready…Treat your tired tyres to some air, your crusty chain to some oil, and your broken brakes to some new pads! It’s always good to book a service in advance as we are a busy workshop, but don’t hesitate to try your luck on the day, we’ll always try our best to accommodate you. or just pop in and see us for any small repairs! Both levels of service are available on Brompton bikes, just ask for details. Our workshop also carries out a full range of smaller repairs including inner tube and brake pad replacement. Here is an estimated price list for some of the repairs, we can always provide a more precise quote when we see the bike. These smaller repairs are always something we aim to have completed for you either while you wait or on a same day turn around, we know that you want be back riding as soon as possible!